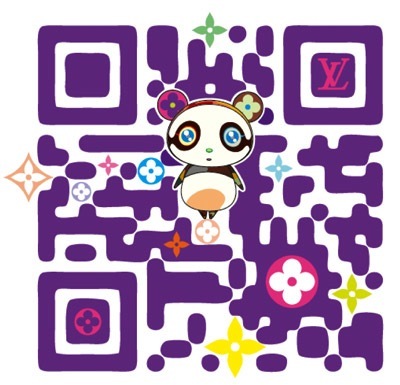 How’s this for a QR barcode! Produced by Tokyo-based creative agency SET, it was put together to promote the ongoing collaborations between LV and Takashi Murakami. I’m pretty sure it’s the first time I see a stylized code like this, and I’m quite surprised that it actually works.